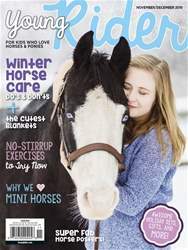 Digital Subscriptions > Young Rider > Nov/Dec 2018 > No Stirrups? No Problem! Take part in “No Stirrups November” to get a deeper seat and a stronger leg. 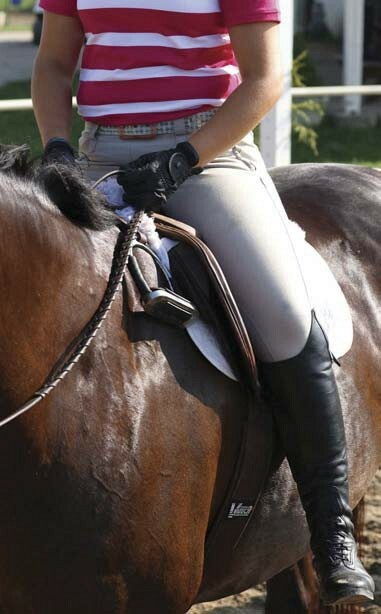 Several years ago, “No Stirrups November” became a trend among riders. Riding without stirrups is tough if you’ve never done it, but it will make you a better rider. I t’s best to start slowly so you can gradually get stronger. Eventually, you can work your way up to an entire lesson without sitrrups! When starting out, cross your irons over the front of your saddle instead of removing them completely. That way, you can pick them back up if your legs get tired.